Business speech topics in a row including company matters such as leadership and management and writing theses on strategic e-marketing for your meeting presentation. Your business will fail if you do not have good people skills. In business both short and long-term goals are important. Market research is a key to starting a business. Every business person needs a mentor. Why cold emailing potential clients actually works. You should send past client’s thoughtful gifts. You must always know your position in the market. You should take full advantage of social media for your business. It’s smart to create blog posts specific to your business. Word of mouth is still the best way to get you new clients. Working from home is the best productivity tool. In business, you must always deliver an experience too. You must know how to create your own opportunities. You will learn the most from your unhappy clients. You should not start a business you are not passionate about. Never be afraid of your competitors. Always trust your instincts, even in business. Being persistent and perseverant will work to your advantage. You must never bad mouth your competition. Failure isn’t necessarily a bad thing if you are willing to learn from them. Business people must keep a diary and adhere to it religiously. There are businesses that you can start with no money. Why you should turn your passion into a business. Marketing as an investment and not an option. Successful business owners delegate well. Unique selling propositions is not necessary for success. Customer surveys will improve your business. A business should first and foremost take good care of their employees. People in the business environment shouldn’t have to hide their tattoo’s. A dress code shouldn’t be necessary for an office. Smoke breaks shouldn’t be allowed. Brainstorming with co-workers will boost a company’s productivity. Team building events are key to team motivation. Virtual businesses will take over the retail world. No one should stay at a company where their growth is limited. IWhy working for the competitor is a good move. Experience should be valued higher than qualifications. Employers shouldn’t have the right to ask for your social media accounts. French should become the business language of the world. Sometimes franchising your business is a bad idea. Written warnings are not always the best solution. Theft should equal immediate dismissal. A background check on potential staff members is a must. Apprenticeship programs are of great value to young adults. Product waste should be reused in other areas. Product differentiation is good for companies. Different cultural aspects need to be kept in consideration when doing research. Why having a business on the side isn’t a bad thing. For a physical business, location will always be key. Why every business should give free perks to its employees. Modern day businesses don’t need to promote their products. Corporate businesses are taking over government. A college degree will not guarantee success in business. Poor leadership will bankrupt a business. All businesses should go green. New fathers should get paid time off to help with the baby. Affirmative action is not right if someone is higher purely on race only. Employees should be allowed dating each other. Sexual harassment should be taken more seriously in the work place. Business owner’s should constantly brush up on their skills as well as send their employees for further training. A yearly bonus should be based on how well an employee did their job. Loyal customers should be treated like royalty. You can take negative reviews and turn them around. Why mono-tasking is more productive than multi-tasking. Businesses should never over work and under pay their employees. Why a business should never cut back on quality. Why every company should have random drug tests. Job hoppers are not good for your business. Hiring a lazy person isn’t always a bad thing. Your company needs to be active in social media. The owner of a company should be involved in the day to day running of his business. Employees should always feel like they can approach their bosses at any time. Companies should have the same set rules for everyone. Companies should have important dates diarised and stick to those dates. Keeping a person ready for retirement around will benefit younger staff. When hiring you should always trust your gut instinct. Company phones should not be used for personal use. Employers should never ask staff to work through their lunch break. Companies should have their closing dates finalised months before the time. End of the year functions should be for the whole family. You need to be iring people who speak multiple languages. Large companies should provide day care. Company vehicles should not be driven by several drivers. Why companies should always deliver on their promises. Sales should only take place if there is enough stock for a large number of people. Black Friday sales should be food sales. Why businesses should focus on creating more leaders for their companies. Businesses should be careful to not spam their clients with too many emails. Clients like businesses with good sense of humour. Free food makes your employees happy. Recruitment and staffing decisions are crucial to success. Creative team building methods to test with your own collegues. Conditions for good franchising business agreements. Exchanges planning for the unexpected when it comes to leadership and management challenges. Paying bribes, why, when and why not? Internal auditing – a hot business topic. Trends and mode factors in your branche or industry, these fashionable sales matters can be a very attractive business topic. Review of a popular book about a narrow-casted theme that is related to your actual tendencies you see in your niche. Kick start job hunting practices – telle and show them your approach of handling cases. Small business ideas and opportunities. Globalization trade opportunities as the world has come closer tied in client supply and demand structures. Do the background check on staff personal or B2B consultants. How to develop an apprenticeship program – a business speech sample topic of the category inform writing theses your public. Ceiling on weekly working hours? How to implement workers’ ideas – and go further than placing a suggestion box in the hall of the building. Exporting issues related with government regulations. The mighty power of strategy for winning in business and in life. When consulting and when absolutely not – what are the outsourcing policies for seeking advice by third parties within your enterprise or firm. Unique manufacturing methods that reduce production costs. Trade protectionism or deregulation, what is the top-notch strategic e-marketing plan for your company? Leadership and management always are hot topics for a business speech. Merchandise marketing business speech topics. Enhancing logistics and transportation are key components for economic growth. The psychodynamics of organizational change management. How crisis communication provides policies for the coordination of communication in the event of an emergency or controversial issue. Fulfillment and the rest of consumer-related stuff, in my opinion that writing theses also has to be implemented in an elevator pitch. How to avoid product wastage due to churning frozen food products. Proven methods and insights to run successful retail business operations. There is more to a good job than just a good salary. Work tasks must adopt healthy and safe ergonomic postures for employees. Employees must have easy access into all the facilities of a business. Why you should pay your taxes. Turn off computers when leaving the workplace. The benefits of working for a large business are better than working for a smaller one. Corporations like to invest in the capabilities of young female professionals. The number of women in high positions could not be raised artificially. Strong unions are necessary in times of economic growth. Business intelligence must be used strategically. State antitrust laws to prevent monopolies should be abolished. Rising food prices endanger Asian economies. Real estate brokers are selling bad houses as palaces due to their creative terminology. Raising the salaries of CEO’s in bad economic times should be forbidden. Racial balance can be achieved without affirmative action. Performance-related pay would enhance motivation. Team building motivates sales managers to stay at the top of their fields. Employeers should have the right to dismiss employees that strike for unreasonable reasons. Never work with someone that you don’t trust. Networking: lifeblood of every entrepreneur. Market mechanisms could do better to help poor people. Asia will attain a strong and healthy growth in their global trade efforts. Logistics is the base of enormous projects. Legalization of long term illegal immigrants helps the economy. Candidates should be told when their resumes have been received. Invest with micro-credit in favellas. India has the best booming and emerging market. Night shift work has too many negative effects on employees. Human resources management is another word for sacking people politely. Home businesses ruin family lives. HIV positive employees ought to tell employers their status. All business practice some form of corruption. Free market policy is disastrous for Africa. You must find a niche for your small business. Employment programs are not effective. Employers should not have access to genetic testing results. The development of a business suffers because employees and managing directors want different things. Higher minimum wages causes higher unemployment rates..
Companies should have a “Support the Arts” fund. Coaching practices in the business accelerate staff growth. Capitalism is not better than communism. Capitalism has caused the financial crisis. Beneath the top of the corporate ladder exists an invisible barrier for women. Bank account holders are not protected well enough. Asian countries make the most innovative cars. Promotional phone calls and text messages from telemarketers is good for consumers. The mega rich do pay enough federal income taxes. You cannot protect your credit card from identity theft. Family leave time is a basic employee right. There must be more tax-effective giving strategies for charity. Limiting team sizes helps complete projects more effectively. Support affirmative action in governmental organisations. Corporations will benefit from using a computer hacker. Integrity is everything in business. Women will always be victims of discrimination in the workplace. Professional ethics are not needed in corporate decision making. Wildcat strikes should be legalized. We should decide our own working hours. Effective leadership is fundamental in the business field. Companies should not hire employees for life. Workers should not be allowed to strike whenever they want to. Unions have caused ridiculous regulations. Leadership skills, management qualities and reflexive abilities are all needed to become a successful business owner. Labor unions provide value in the workplace. Employer should be forbidden to track the Internet activity of their employees. Why finance institutions want to see a business plan. Adventure incentives increase employee loyalty. Corruption and bribery: we can’t do without it when doing business abroad. Strike is not the only weapon workers have. Solid job security is better than an uncertain but satisfying special vocation. Flexible working hours will reduce traffic jams. Outsourcing is a good solution for small business owners. Yes, there is a glass ceiling for women. Labour unions are still relevant. Co-workers will not work well together if they do not trust each other. Corporations should create and maintain an internal anti-fraud code. It is crucial for women to have a career before marriage. Labor unions have too much influence. General strikes harm people who are not involved. Employees should be tested for drugs at their work place. A good business supervisor takes employees seriously. Informative business speech topics list including more than thirty items on creative accounting, time management, and flexible work arrangements and many more for a field of work presentation. TIP: Use the words what, which, who, why and how in your central business speech idea and title. Also the words steps, methods, secrets or benefits will indicate that your presentation is about informative business speech topics. Ergonomics in the workspace – chairs, tables and desks, physical poses that are good for people who sit all day. Corporate loans and special grants for women start-ups. Yes, there happen to be lots of initiatives especially for female entrepreneurs. To start up an own company. My checklist for going along with a partner – do not forget to ask the local Chamber of Commerce for help. Creative accounting and the financial accounting standards. What is right and what is wrong? What are the gray zones you have to avoid? Telemarketing ideas for small companies, techniques to operate on low costs per lead you get by direct marketing phone calls. What is copyright protection? This theme opens the way for many informative business speech topics as you can guess. The how, what and when and the legal aspects. How to introduce young people to selling and dealing – a mentor, a patron or are there new form of getting them on the job and let them be productive. B2B contracts on intellectual property – dull stuff you think perhaps, but if you make a some kind of a floor plan or roadmap for future contracts you are the boss and an authority at once in this field for many who have to struggle with this. When should we go outsourcing to third parties and what must the Human Resources department be concerned with? What if your commercial or industrial enterprise grows too fast. How to deal with grant-making foundations and grant writing. Backing up trade secrets with a signed confidentiality agreement. What does the International Organization for Standardization – ISO do? Good governance ethics and social responsibility. And what has accountability to do with it? Open the window to the outside consumer world of stay inside with closed curtains? Types of insurance – assets and revenues, people and liability insurance. Telecommuting, job sharing, part-time and other flexible work arrangements. Risk management under pressure in the twenty four hour economy. Hiring people and closing deals for the long term with highly skilled young urban professionals. Quality control and tracking if everything went well as you planned it should be. Commercial activities and industrial research – do those two mix? Is that a happy marriage? Can you aim at synergy? Human resources benefits and the ways to maintain and develop human skills and know-how. Safety programs and working conditions in relation to productivity. Successful tendering in oter regional areas with lots of competitors you do not know well.26. Fair trade policy. Time management – planning, organizing, setting goals. Step by step starting and managing a small business. Training and Development – strategic thinking, negotiation, communication, risk-taking. Income tax for a sole trader explained. Methods to protect data and information against intruders. How to handle dissatisfied customers in a nice and polite way. How to write effective business letters. Unique Selling Proposition and Unique Point or positioning statement. Three ways to attract customer attention. The best marketing rules for setting prices. Customer follow-up techniques as after-sales methods. Amazing, successful and funny trading stories with a twist, a bite, and a moral conclusion. Credibility and trust is the base of a brand. How to use email to promote your business. The benefits of having a female boss. How to uncover false qualifications and licenses. The impact of oil price fluctuations on the economy. How Amazon started its path towards success. 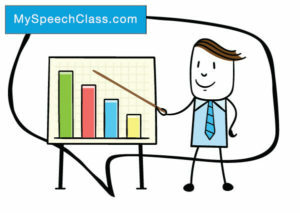 Cite this article as: Jim Peterson, "274 Speech Topics for Business [Persuasive, Informative]," in My Speech Class, April 10, 2018, http://www.myspeechclass.com/business-speech-topics.html.